With its medieval castle and cathedral at the heart of a kink in the River Wear, many of Durham’s streets are lined with buildings dating back to the Georgian era. A visiting Sir Walter Scott was moved to write: “Grey towers of Durham, yet well I love thy mixed and massive piles, half Church of God, half castle ’gainst the Scot”, a line that has been inscribed on the Prebends Bridge. 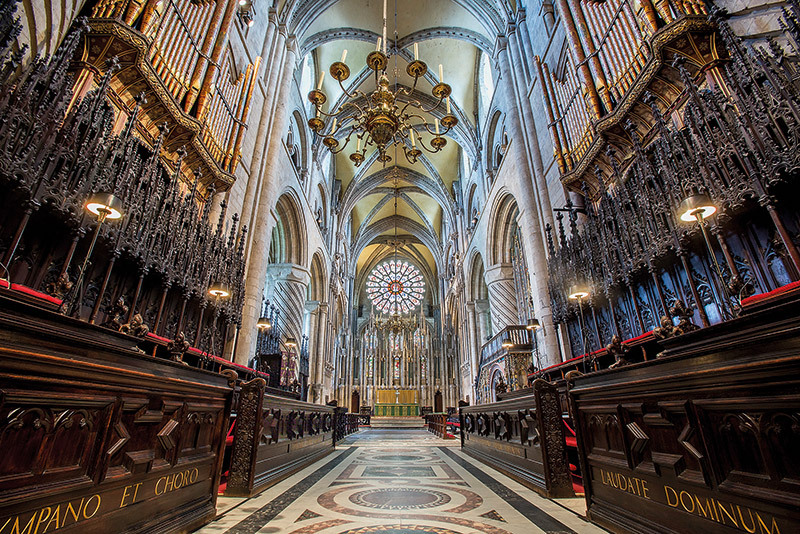 The city’s story begins with St Cuthbert, a Christian pilgrim who spread the gospel across the northeast of England. After his death, he appeared in a vision to the monk Eadmer and instructed that his coffin should be taken to Dun Holm. No one knew of such a place until the monks overheard a milkmaid mention it. The spelling of the name has twisted over time, while the milkmaid and her Dun Cow have become symbols of this gorgeous, heritage city. Opened in 2010 and converted from café to restaurant five years later, Flat White Kitchen is housed in a 17th-century building on Saddler Street. Although open until 9.30pm, this is Durham’s finest brunch spot, thanks to a menu boasting ham hock hash, ricotta pancakes and an English Breakfast brew from northeast tea gurus, Ringtons. For a brisk jaunt around the historic and cultural sites, sign up for a guided walk with Around Durham City Tours. The morning tours begin in the Market Place at 11am. 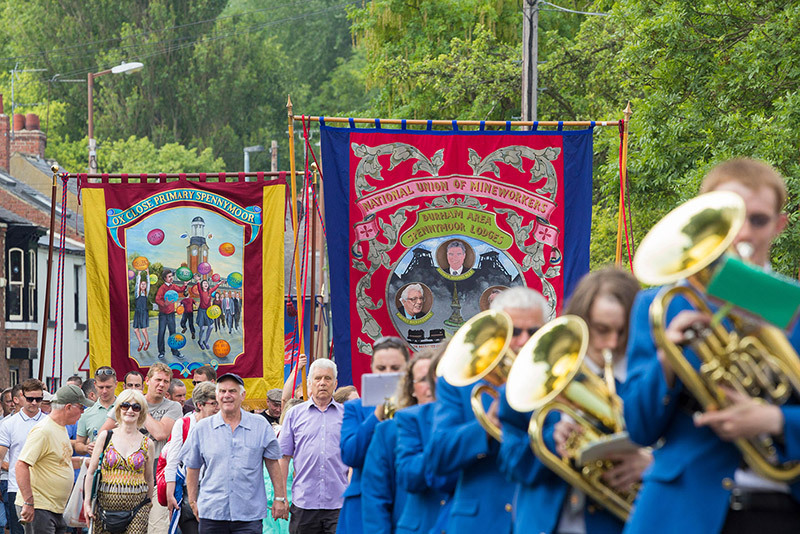 Attention is paid to the design details on the city’s many landmark buildings, while also shining a light on local history, including the Durham Miners’ Association. Durham is home to one of the UK’s leading universities so the research facilities are world class. This extends to the Botanic Garden, founded in 1925 and moved to its current on campus site in 1970. Visitors can enjoy the Carboniferous Garden’s prehistoric plants and exhibitions in the visitor centre, including one by the Durham Photographic Society throughout May. Elsewhere on the university campus sits the Oriental Museum, an undiscovered gem. Permanent displays are particularly strong on Egypt and China – the latter drawing on the museum’s 10,000-strong collection of Chinese ceramics, art and precious stones – while latest exhibition, Khyal: Music and Imagination (19 January to 3 June), features art inspired by Indian classical singing. 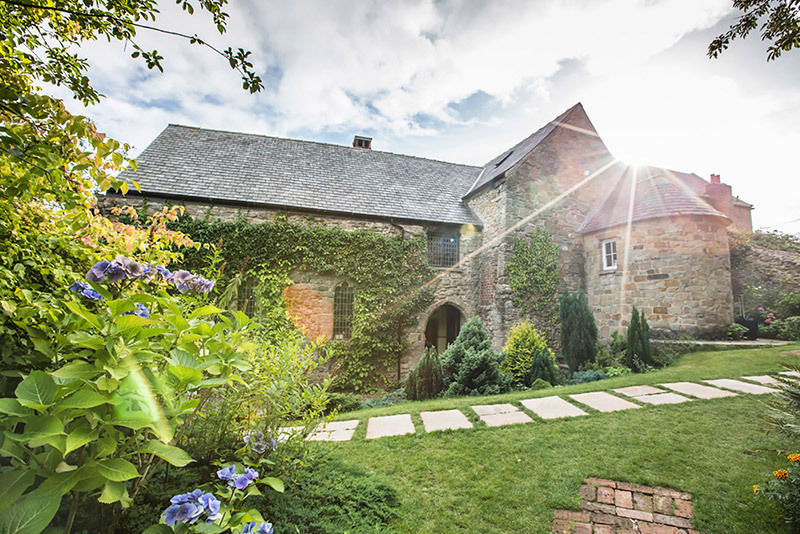 For a little seasonal colour in the heart of the city, hunt out Crook Hall and Gardens, a medieval hall that was named for its owner, Peter Del Croke, a staggering 800 years ago. After a stroll around the house, enjoy afternoon tea in the Garden Gate Café, which proudly bakes more than 30,000 scones for the occasion every year. With the centre of Durham is built around a horseshoe-shaped peninsula, many of the city’s medieval architectural highlights are best viewed from the River Wear. Hop on a Prince Bishop River Cruiser for a one-hour trip that offers a unique perspective on the Framwellgate Bridge and Durham Cathedral. At 5.15pm, catch Evensong at Durham Cathedral, the vaulting Romanesque ceilings adding to the stirring drama of the choir. Built in 1093 to house the shrine of St Cuthbert, this UNESCO World Heritage Site celebrates its monastic origins in an annual Benedictine Week every September. Also, look out for the carving of the milkmaid and her Dun Cow on the cathedral’s north wall. Passion and provenance are the keywords at The Cellar Door. The former is part of the restaurant’s ethos, while the latter is evident in a menu boasting 28-day aged steaks from Hurworth’s Country Valley Foods and a cheeseboard sourced by Harvey & Brockless. Combined with the 13th-century cellar setting, it makes for an atmospheric meal. Durham’s historic buildings and cooler climate means it is blessed with plenty of charming hostelries into which one can settle for the night. The CAMRA-approved Victoria Inn, meanwhile, has six en-suite rooms above its hearth-warmed time warp of a bar, while the Garden House Inn is an old coachhouse with boutique rooms, a real ale bar and a top class restaurant. For a truly cute and cosy stay, book one of five rooms in the 250-year-old Castle View Guest House. With a cobbled street and hanging baskets at the front, and a secluded garden terrace in the shadow of St Margaret’s Church out back, friendly owner Anne Williams has created a comfortable home from home minutes from the centre. 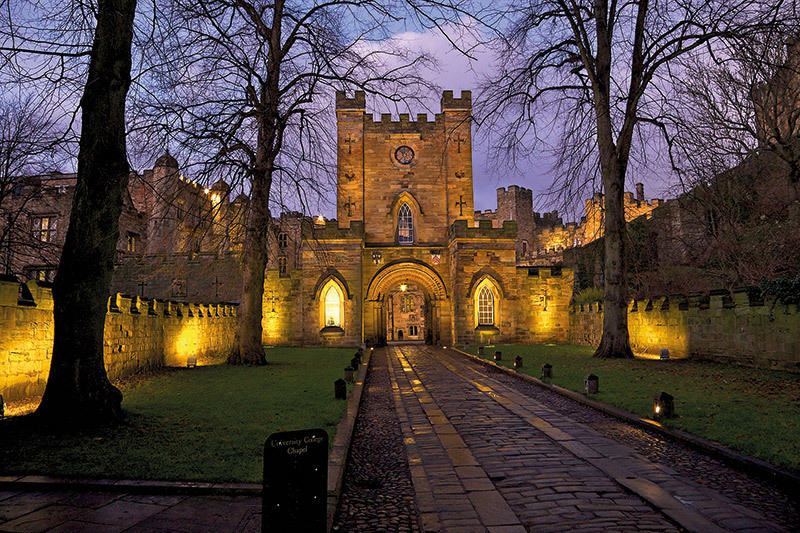 No visit to Durham is complete without a visit to the 11th-century Durham Castle, but did you know you can also spend the night in this UNESCO World Heritage Site? During university holidays, 70 standard rooms and two state rooms are available with breakfast served in the medieval Great Hall, which boasts ornate stained glass and two trumpeters’ galleries.